Today is the first time in well over a year I’ve had a mic set up in my room with Pro Tools running ready to record. I suppose you could say this is officially day one of making the next Five Times August record. I’m looking forward to finally doing another FTA album. I really haven’t released an entirely “brand new” album since 2008’s Brighter Side, so that’s kind of a big deal when you think about how long it’s been. Since then, the only full lengths put out have been “Life As A Song,” which was a collection of re-recorded songs from the two albums prior to it, and I also did a second installment of “Acoustic Sessions” in 2011. Oh yeah, not to forget the exclusive double-length anthology “Rare, Live, & Unreleased” which was a fun project to piece together, but exclusively released via Bandcamp. But all those releases mainly featured songs already released as different versions, so it’s going to feel good to put out a collection of all new material again. The “Where Did I Go?” E.P. released earlier this year was 6 new songs, but that was a side-project with a different sound. I’m sure I’ll do more releases for Music By Bradley James down the road, but until then I thought it time to “get back to my roots” as they say. When I began writing and recording the very first Five Times August songs I had just turned 18. My approach was simple and quick and homemade. I’d write a song, usually in about 3 hours or so, record a few takes soon thereafter, overdub additional guitar parts, mix it and considered it done – all in my bedroom. It was rough but it was honest and that’s very much how I intend this next album to be, rough and honest. I’m going to get back to basics and essentially limit myself to my room, the gear I have, and my own creativity and knowledge of record production. That’s not to say my knowledge is limited, but I’ve worked with and relied on some amazing talent over the years, and this time around I have decided to take that luxury out of the equation, just do it all myself with the education I’ve consumed from working with them. It’s going to be a challenge but an exciting one at that. So I just wanted to drop in and let you guys know I’m back in the saddle again. 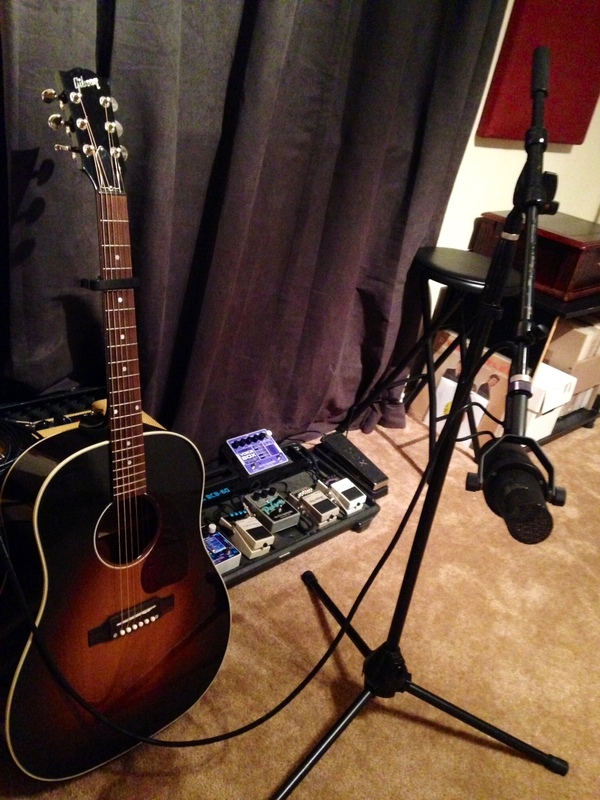 I’m ready to create some new tunes and see what comes out of this little room.